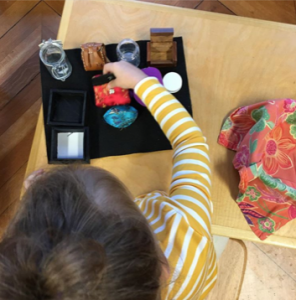 There are many works chosen throughout the day that(3-6) children use to improve their hand-eye coordination and fine-motor strength. These skills will serve them well, not only in preparing them to write, but in gaining self confidence and learning important life skills as well. 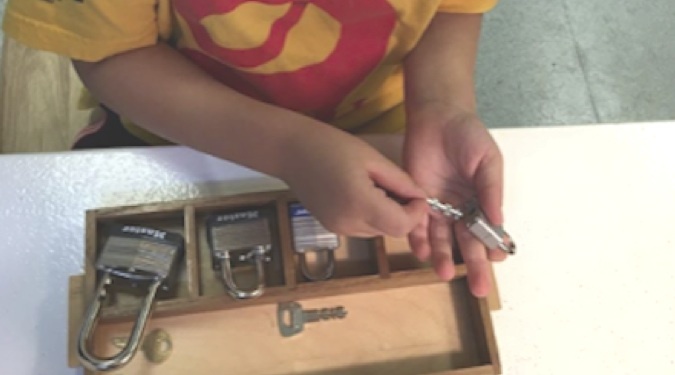 Students have also been practicing patience and perseverance as they match lock and key to successfully release the iron grip of the mechanism. 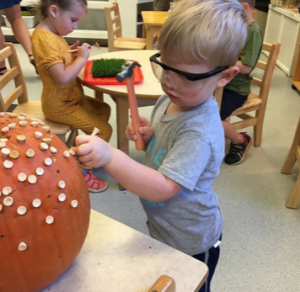 Other works include opening and closing various containers and hammering golf tees into multi-pierced pumpkins.